Yes, we’ll mail it anywhere in the world! Be sure to use a real e-mail in the address field so we can contact you with the coupon. Limit one PCB per address per month please. Like everything else on this site, PCBs are offered without warranty. Be the first to comment, subscribe to the RSS feed. 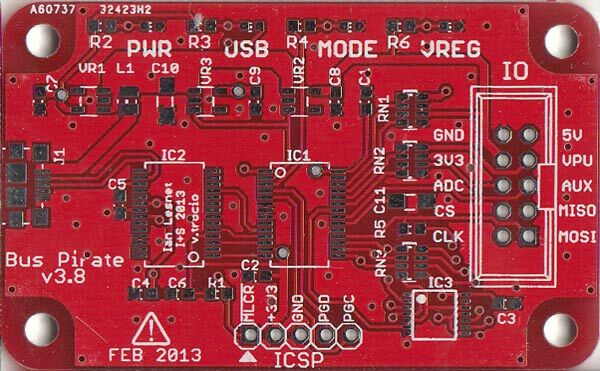 This entry was posted on Sunday, January 26th, 2014 at 5:05 pm	and is filed under Free PCBs. You can follow any responses to this entry through the RSS 2.0 feed. You can skip to the end and leave a response. Pinging is currently not allowed. Me me me! I need those bus pirate cables! Here’s a lucky lucky comment! Hope this tym i got one….!!! Yes, please. Will be wonderful if you chose me ♡. Maybe since it is my birthday I will get lucky, so here I go. Just finished my reflow oven. Could use a PCB. With the drawer slowly getting things back in stock I’m back to participating. I’d love to get a pcb! Free PCB is a dream??? would like a pcb to build. I’d be interested in one! I’d love a free PCB please. Cheers. Would be nice to be picked. My soldering iron is cold & lonely, warm my soldering irons heart with a free PCB! Hope I am not too late! First try at this. Or am I too late.